Medium sized bunting with yellow eye-ring, pink bill, boldly streaked mantle and blackish brown tertials with clear-cut light chestnut brown edges. Male has olive greyish head and breast band which frames a pale yellowish throat. Female is duller, less olive, more brown tinged and more streaked. Throat pale yellow-buff. 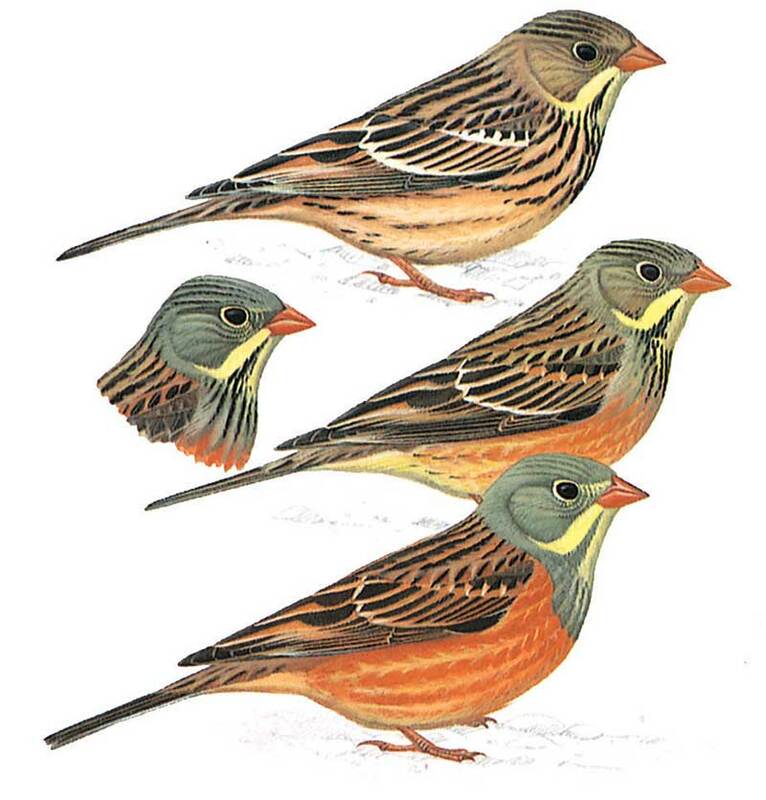 Compare with similar Cretzschmar's Bunting.